Read Gastronomy's review of this book. A great read! Have already bought it for three of my friends. Try the white bolognese sauce and the salad dressing that is used in about 100 dishes. Both are personal favorites. I love books that tell a story--in this case, of a courtship--through food. Good recipes, too. This recipe is solid and unbelievably easy, but not something I'll make again. It's basically a less good (though much easier) version of Sultan's Delight - a family favorite similar to chicken divan. One major benefit - it's a pantry dish if you have chicken breasts in the freezer. One of my staples. Improves with age. Great year round - embellish with seasonal fruit. Spring - macerated strawberries. Fall - Pears with light caramel. Really rich and moist vanilla pound cake- my kids gobbled it up! What I admired most about this book was Hesser’s fearlessness in portraying herself truthfully. By that I mean she doesn’t always come across as–well–likeable. This was the first time I’d experienced recipes in the context of story and that notion, that recipes taste better when they have a context, is something I believe in very firmly today. Now in Paper! Amanda Hesser's irresistible new book is the tale of a romance where food is the source of discovery, discord, and delight--a story of universal desires: good food, great company, and a mate. 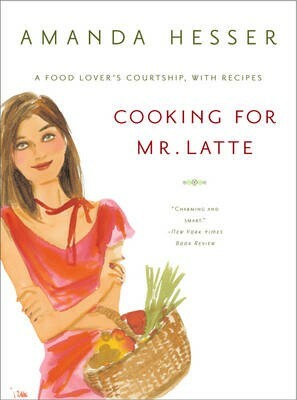 At each stage of her courtship--from her first date with Mr. Latte (a near-disaster) to her first uneasy dinner at his parents' home, from intimate suppers in her Upper West Side apartment to his first attempt at cooking for her--Amanda supplies menus for the meals they share: more than one hundred well-balanced and well-seasoned recipes that will leave you satisfied yet wanting more. With warmth and honesty, Amanda shares her feasts and foibles, triumphs and near-misses, tense encounters and good times in the kitchen and beyond. Her humorous, sensuous tale leads us date by date, recipe by recipe, to a jubilant conclusion.